E.P. Carrillo New Wave Resrva New for 2014, boutique brand E.P. 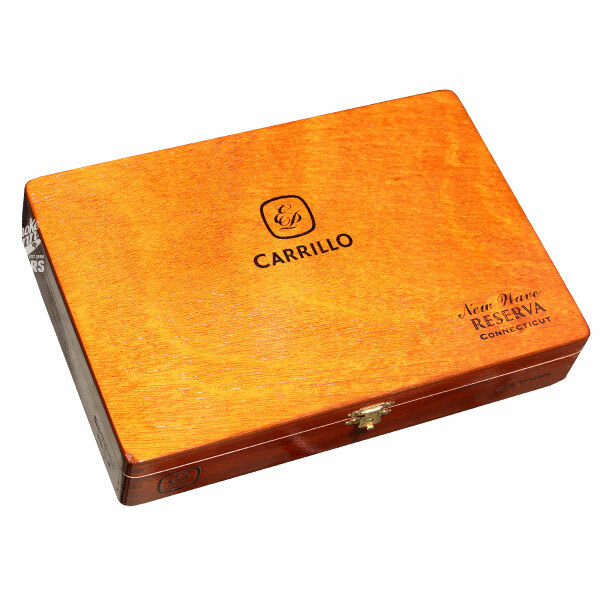 Carrillo has released an overhauled version of its popular New Wave Connecticut blend, dubbed the New Wave Connecticut Reserva. Originally a European-only release, EPC has now introduced the New Wave Reserva to the American market. Ernesto Perez-Carrillo, often known as 'the godfather of boutique cigars', is a Master Blender that owns and operates his own factory in the Dominican Republic. It is here that the New Wave Connecticut Reserva has been meticulously crafted, consisting of Nicaraguan fillers, a new Connecticut Broadleaf binder, and an Ecuadorian Connecticut wrapper that is said to be of a higher priming than the original. The tweaked wrapper selection for the Reserva has given this cigar an added kick, making for a stronger experience. Medium strength and full with flavor, the New Wave Connecticut Reserva provides a lush and pleasant smoking experience, filled with flavors of table cream, nuts, hay, and honey. !